Are you looking for the ways to remove watermark from the testing build of Windows operating system? If “yes” then this guide is just dedicated to you. If you start using the latest build or service pack of Windows then a watermark is always shown on the right corner of your Windows desktop. 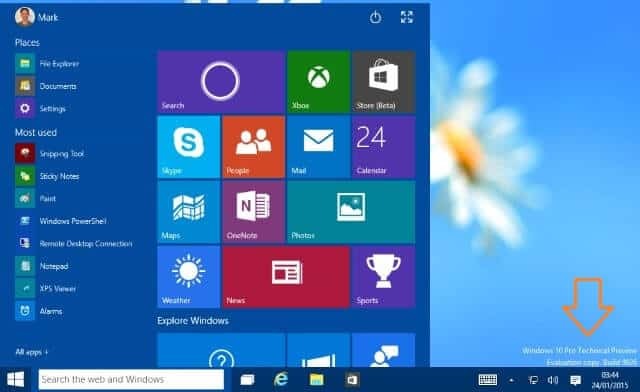 Basically, it shows the build number of Windows or service pack you have installed on your computer. Most of the Windows users don’t like this watermark on their desktop. There are various reasons to remove watermark from Windows. Some people say “It hides some part of the wallpaper and makes ugly” or “It seems like a desktop notification is appearing” etc. If you want to remove watermark in Windows then “Universal Watermark Disabler” is the most appropriate option for you. Universal Watermark Disabler is a freeware application which is specially designed to remove all kinds of watermarks in Windows 10, Windows 8.1 and Windows 8 operating system. The speciality of universal watermark disabler is, it works smoothly in any build of Windows starting from Windows 8 build 7850 (early beta) to the latest Windows 10 versions (Build 9926), including the future builds too. In this guide, we are going to show you – how you can easily remove watermark in Windows 10 Technical Preview Build 9926. You have to do same thing for removing watermark from other Windows version. Step (1): First of all, Download Universal Watermark Disabler on your PC. 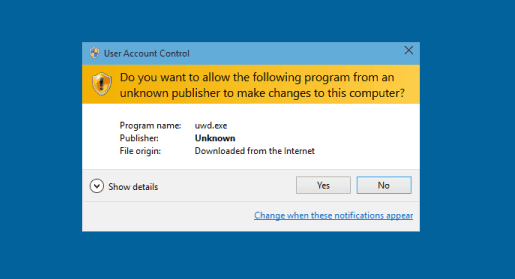 Step (2): After that, Run and confirm the UAC prompt to proceed. Step (3): On the Universal Watermark Disabler app window, click on Install button. Step (4): Just after the click, you will view a warning window saying “You will be signed out automatically, Save all your work and click OK“. So, if you have opened any file then save them and then click on OK button. Step (5): At the end, About Windows window will appear. Click on OK button and that’s it! Step (6): Now, whenever next time you sign in, you will see that watermark has removed from the right corner of your Windows desktop. Thus you can imagine about the usefulness of Universal Watermark Disabler freeware app to remove watermarks in Windows 10, Windows 8.1, and Windows 8 operating system. Share your view with us through comments about this tutorial – How to remove watermark in Windows 10 and Windows 8?